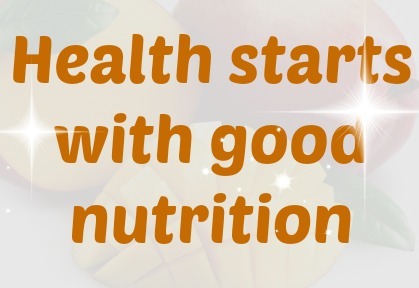 Good nutrition is apparent when the child is getting good food. The direct cause of malnutrition is the child not getting enough good food for his daily body requirements. But a very important thing to find out is why he is not getting enough. There are many reasons, and some of them depend on others. Sufficient money and resources wisely allocated for priorities like agricultural improvements, food and fuel, education, health, etc. Safe and sufficient water supplies essential for drinking, cooking, cleaning. Showing ways to improve on the present attitudes and practices. Special emphasis should be put on proper nutrition in the most vulnerable groups- children and mothers. Ensure that all the children receive enough food and attention. The younger children usually need more care. If the mother or father, or both, are away from home for work, it is important to ensure that children are looked after properly and that they get enough food. There should be appropriate distribution of money, work and food within the family. Support for the mother is important to keep the children healthy. Children should get their share of high-quality energy and foods. Children need small portions of food more often than adults as they cannot digest large quantities at one time. Immunization against vaccine-preventable infections like measles. Comprehensive vaccination for children and good material care, contribute very much to proper nutrition. Early detection and effective treatment of acute diseases like the diarrhoeal diseases and respiratory tract infections. Good management of chronic diseases or congenital malformations that interfere with children’s food intake or food utilization can often produce at least some improvement. For a good nutrition, it is important to treat illness in adults properly as illness reduces the work force and diminishes an adult’s ability to take proper care of children.